CAMP SEC. KANGLEON, Palo, Leyte – The Police Regional Office 8 (PRO8) arrested 5 suspected drug pushers, including a barangay kagawad, and 9 other persons engaged in drug sessions in a series of anti-illegal drugs operations in different parts of the region recently. Barangay Kagawad Jose Pilapil who was nabbed in a buybust operation conducted by the Regional Special Operations Group of the Police Regional Office 8 on Friday night in Catbalogan City. At right is the drugs and buybust money recovered from the suspect. “The arrest of these suspects is a big blow to the illegal drugs trade in the region as we will be going hard against high value targets in our continuing anti-illegal drugs operations,” Police Chief Superintendent Elmer Ragadio Soria, Regional Director of PRO8 said. Soria added that for the month of January 2013 alone, PRO8 had already conducted a total of 24 successful anti-illegal drugs operation resulting in the arrest of 24 suspected drug pushers, 10 drug users, confiscation of 5.196 grams of methamphetamine hydrochloride or “shabu” and 214.890 grams of dried marijuana leaves with a total estimated market value of P73,130.00, several drug paraphernalia, and filing of 24 drug charges in different courts. The Regional Director informed that on Friday night in Catbalogan City, elements of PRO8 Regional Special Operations Group (RSOG) led by Police Inspector Constantino Jabonete, Jr. arrested Jose Pilapil y Valles, 48, married, while selling one heat-sealed plastic sachet containing white crystalline substance suspected to be “shabu” to a poseur buyer at the corner Rizal Avenue and San Francisco Street. Pilapil is a Barangay Kagawad of Brgy. 1 Poblacion, Salug, in said city. Recovered from Pilapil were two P500.00 bill with serial numbers FK201906 and SV769471 and bundle of buy-bust money. He was immediately brought to Catbalogan City Police Station for proper documentation while the confiscated items were submitted to Samar Provincial Crime Laboratory Office for examination. Meanwhile, another buybust operation on Saturday afternoon infront of Gaisano Capital department store in Sogod, Southern Leyte resulted in the arrest of Romychito Riveral, of Brgy San Roque of said town. In a report submitted by Police Senior Inspector Alfred Reynald Dauz, the police were able to purchase from the suspect 20 pieces small heat-sealed transparent sachets containing suspected “shabu” with an estimated street value of P10,000.00. Also recovered from Riveral were the P1,000.00 buybust money bearing serial number WW911858, four other P1,000.00 bills and one unit Samsung mobile phone used in his drug transactions. Further investigation disclosed that Riveral is out on bail for drug charges. In Ormoc City, a police team led by Police Chief Inspector Ibrahim Jambiran of Police Station 1, Ormoc City Police Office, implemented the search warrant number N-01-25-18 issued by Judge Clinton Nuevo of the Regional Trial Court Branch 12, Ormoc City against Cheryl Canoda yke Talipa, 27, married, of Purok Rosal, Brgy. Cogon, Ormoc City. The operation conducted in the evening of January 29 resulted in the arrest of the suspect who was caught in a drug session with 5 other persons, namely: Jeorge Jaralbio, security guard, of Dolores, Eastern Samar; Jericho Templado, security guard, of Brgy Lim-ao, Ormoc City; Alvin Daludo, construction worker of Brgy. Nadongholan, Ormoc City; Emmanuel Danola, jobless of Brgy. Bagong Buhay, Ormoc City and Edgar Baludo, employee of South Seas Cargo and a resident of Brgy Nadongholan, Ormoc City. 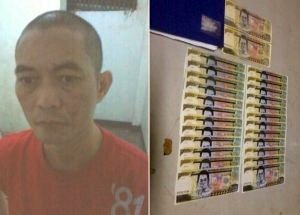 Recovered during the operation were 3 small heat-sealed transparent plastic sachet containing of suspected “shabu”, 2 heat-sealed transparent plastic sachet containing suspected ”shabu” residue, several drug paraphernalia, 5 mobile phones and cash amounting to P1,800.00 in different denominations. Suspects were brought to the police station for proper disposition. On Thursday evening in Tacloban City, entrapment operation conducted by RSOG led by Police Senior Inspector Dinvir Revita along P. Gomez St, resulted in the arrest of drug suspects Allan Lozada y Calabria and Lawrence Mora y Padagdag. Follow-up operations at the house of Lozada resulted in the arrest of 4 drug users while engaged in a drug session, namely: Jave Muaña, Christian Perpetuo Margallo, Christian Aimel Malate, and Charlie Jason Salazar, all of Tacloban City. Confiscated during the operation were more or less 1 kilo of dried marijuana leaves in different packaging estimated to be worth P12,000.00, two plastic sachet of suspected “shabu”, several drug paraphernalia and buybust money of two P1,000.00 bills. Soria informed that cases for violations of the provisions of Republic Act 9165 or the Comprehensive Drugs Act of 2002 will be filed by the police against the above suspects. TACLOBAN CITY – The province of Leyte remains the champion in the Eastern Visayas Regional Athletic Association meet lording it over the ten other delegations from the different provinces and cities in the Region. Leyte which is the defending champion, garnered a total of 331.34 points and was officially proclaimed the overall champion of the EVRAA 2013 during the closing and awarding ceremonies held on February 1 at the Leyte Sports Center, Dr. Rebecca Ragrag, DepEd 8 Information Officer, said. Placing second was the delegation from Eastern Samar with total points of 184 while coming in the third place was Ormoc City with 166 points. Tacloban City garnered a total of 155.67 points; Maasin City, 131.50 points; Northern Samar with 75.5; Biliran, 75; Borongan City, 69; Baybay City, 59.84; Southern Leyte, 57 points, followed by Catbalogan City, 55; Samar with 42; and Calbayog City with 37 points. The winners of the EVRAA 2013 will be qualified to participate in the upcoming Palarong Pambansa to be conducted in Dumaguete City on April 21-27, 2013, Dr. Ragrag said. The athletes who are qualified to participate in the forthcoming Palarong Pambansa will be officially informed by DepEd Regional Office, she added. The Palaro athletes will be give time to practice before the national sports competition, Dr. Ragrag said. This year’s EVRAA is considered to be the biggest in terms of number of participating schools divisions with the creation of three new schools divisions. These are the city schools divisions of Borongan, Catbalogan and Baybay which are among the newly-created cities in the country. BRGY. MAGSAYSAY, Lope de Vega, Northern Samar – A newly abandoned communist terrorist’s temporary camp was recently discovered by government security forces at Barangay Luisita, Victoria, Northern Samar just this morning at around 7:30 in the morning. Lieutenant Colonel Noel A Vestuir, 20IB’s Commanding Officer, in his report to 803rd Brigade Commander, Colonel Rolando Malinao, said the camp was seized by the troops of Charlie Company, 20IB led by 1LT Florencio Tayo. The camp can accommodate more or less fifteen communist terrorists and has just been abandoned by the CTs as they evade armed engagement with the operating troops. The camp has also a strong signal for globe and is near a water source. The camp was discovered after 20IB has launched sustained combat operations in the area of Victoria and San Isidro in response to the reported presence of communist terrorists in the area as tipped-in by the peace-loving residents. According to LTC Vestuir, persistent reports were monitored regarding the presence of unidentified armed men in the hinterland barangays of Victoria and San Isidro towns collecting food stuffs from the residents. Vestuir added that the group was possibly in the area to enforce their Permit to Campaign (PTC) and Permit to Win (PTW) to some candidates running for local posts during this forthcoming 2013 election. As can be recalled, another camp was also seized by 20IB last week in Catarman. According to LTC Vestuir, “the continuous discovery of NPA camps was made possible through the support of the residents in the area. Through their information, our troops were able to pinpoint and find the location of their camps that serve as a staging ground for their terroristic activities. The information provided by the populace is a clear indication that enemy revolutionary organization has already alienated the people and the communities where they got their support through their forced extortion activities”. The seizure of the said NPA encampment is a big blow to the CTs considering that we have denied them of their safe haven and sanctuary and once again proven that the people are with us in our pursuit for peace in this part of the country”, Vestuir concluded. GOV’T CENTER, Palo, Leyte – With the high momentum gained from the impressive accomplishments in 2012, the Eastern Visayas Consortium for Industry and Energy Research and Development has set 3013 plans geared on the realization of the Eastern Visayas Regional Development Plan by addressing the research and development concerns of the industry, engineering and energy sector. Department of Science and Technology Region 8 Director Edgardo Esperancilla informed that the 2013 R&D plans for industry and energy was finalized during the January 16-18 conference of the Eastern Visayas Consortium for Industry and Energy Research and Development, a consortium of government agencies and colleges and universities in the Region supported by DOST 8 and which has been a long time partner in the delivery of Science and Technology services in Eastern Visayas. The 2013 plan has identified five (5) Key result Areas (KRAs) namely: Capability Building (HRD); R&D Projects; Resource generation; Promotion and Technology Transfer; and Operations and Management. Director Esperancilla disclosed the R&D priorities for 2012 as R&D for Agribusiness particularly on functional foods such as the product development of Sago and the product development of Palawan, a root crop found only in the Region; R&D for Aqua Business particularly that of the Mussel, Fresh Water Prawn and Tinapa; and R&D on ICT and other engineering devices for industry applications. Another priority is the R&D on Rubber. For this year, the EVCIERD has already confirmed its co-sponsorship of the August 19-21, 2013 Regional Inventions Contest and Exhibits (RICE 2013) which will be held at the Robinson's Place Activity Center, Tacloban City, Director Esperancilla said. The DOST Director added that EVCIERD is also looking into the possibility of conducting benchmarking in Vietnam and Cambodia or China to enhance the knowledge of its members on the current technologies used in the industry and energy sectors of the aforementioned countries. He said that the consortium now includes international cooperation with Singapore-and Taiwan-research and development institutes. Also this year, EVCIERD has already confirmed its co-sponsorship of the August 19-21, 2013 Regional Inventions Contest and Exhibits (RICE 2013) which will be held at the Robinson's Place Activity Center, Tacloban City. At the side, EVCIERD is also looking into the possibility of conducting benchmarking in Vietnam and Cambodia or China to enhance the knowledge of its members on the current technologies used in the industry and energy sectors of the aforementioned countries. Director Esperancilla explained that the Consortium’s 2013 Plans are in keeping with the Eastern Visayas Consortium for Industry and Energy Research Strategic Plan 2012-2016 which was launched during the National Science and Technology Week celebration last year, and which maps out activities to be engaged in for the next five years in the areas of industry and energy in Eastern Visayas. In the joint Board of Director (BOD) and Regional Technical Working Group (RTWG) Meeting held last January 18, 2013 at the EVSU Executive House in Tacloban City, the RTWG headed by its Chairman, Dr. Francis Pitogo of Northwest Samar State University (NwSSU), presented the plan to the Board headed by the President, Dr. Socorro O. Bohol, who is the President of NwSSU. The plan was approved and will be implemented with the period of CY 2013, Engr. Ramil Uy, DOST Senior Science Research Specialists informed. In the recent years, EVCIERD became the source of consultants for the implementation of the DOST’s program on Consultancy for Agricultural Productivity Enhancement (CAPE), Manufacturing Productivity Extension Program (MPEX), Energy Audit (EA), Food Safety Assessment, and the Cleaner Production Technology (CPT), Engr. Uy said. Notwithstanding, the consortium also co- sponsored several major activities of the Department like the conduct of the Regional Invention Contest and Exhibits 2011 (RICE 2011) of which one of the entry from its members brought the bacon as winner in the national level of the contest last July 2012 during the NICE in consonance with the celebration of the NSTW 2012 at MOA, Pasay City. The consortium also co-sponsored the recently conducted Visayas Cluster S&T Fair and Exhibits which was held at the Tacloban City Convention Center, Tacloban City last September 24-28, 2012. QUEZON CITY – President Benigno S. Aquino III certified the two-decade old land use bill as urgent last Friday. “Providing for a rational, holistic and just management and allocation of the country’s land resources and the introduction of land and physical planning as proper mechanisms for determining appropriate land use would promote sustainable economic and social growth without compromising environmental integrity and stability” President Aquino said in the certification, following the continuous lobbying of civil society and peoples’ organizations to certify the bill as urgent. Senate Bill No. 3091 or the National Land Use Policy Act (NLUA) sponsored by Senator Gregorio Honasan II, was one of the 35 bills stalled due to the controversies that took much of the Senate’s time after the resumption of the session last January 21. The bill aims to ensure Protection Land Use to guarantee that prime agricultural lands will be preserved for the needs of future generations of Filipinos, and to strengthen laws that protect the rights of indigenous peoples in their ancestral lands, among others. NLUA also mandates the creation of geo-hazard map that will identify disaster-prone areas in the country for use in land utilization planning and disaster prevention programs. "We thank the President for the Certification for a very important Bill that would define the country's sustainable and just allocation of our natural resources. We now challenge both Houses of Congress to pass the NLUA," said Campaign for Land Use Policy Now! (CLUP Now!) convenor Anthony Marzan. The NLUA was first filed in 1994 during the 9th Congress. After more than two decades, House Bill 6545 or the National Land Use and Management Act, finally passed on the third and final reading in the Lower House last September 2012. It now awaits approval on Third Reading in the Senate and finally, its ratification before the 3rd regular session of the 15th Congress adjourns. MANILA – The combined Operations Center of the Inter-Agency Council Against Trafficking (IACAT) and the Presidential Taskforce Against Illegal Recruitment (PTFAIR) assisted more than 1,300 human trafficking and illegal recruitment victims last year, Vice President Jejomar C. Binay said today. “From Jan. 1 - Dec. 31, 2012, the IACAT-PTFAIR Operations Center received a total of 537 complaints consisting of 1,353 victims and complainants,” the Vice President, who heads both the IACAT and PTFAIR, said. The anti-trafficking czar added that operatives of the Operations Center, under the supervision of the National Bureau of Investigation’s Anti-Human Trafficking Division (NBI-AHTRAD), conducted 10 rescue and six entrapment operations last year, resulting in the rescue of 262 victims and the arrest of 86 suspects. Binay also lauded the Center’s efforts in locating witnesses who were needed to testify in courts. “The Operations Center was able to locate 25 victims who turned witnesses from as far as Pangasinan in the north and Davao City in the south,” Binay said. “This is very important for us because most of the cases we file do not prosper due to the lack of witness who are willing to testify against the suspects,” he added. The Vice President said the witnesses were brought to Manila to attend preliminary investigations and court hearings. “Their presence allowed our prosecutors to successfully present evidence and hopefully will result in the conviction of suspected traffickers and illegal recruiters,” he said. “In fact, seven of these witnesses were found just in time to save four human trafficking cases from being dismissed by the presiding judges,” he said. The Vice President said these efforts were in line with the recommendations for the Philippines in the United States State Department’s annual Global Trafficking in Persons (GTIP) Report last year. “One of the recommendations was for us to strengthen case monitoring and conviction. I hope our efforts to comply with this recommendation will be recognized by the US State Department when the 2013 GTIP Report comes out in June,” Binay said. TACLOBAN CITY – Leyte Gov. 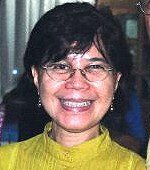 Mimietta Bagulaya vowed that the provincial government of Leyte would continue to be the conduit party of the Social Integration Program of the Philippine Army and Office of the Presidential Assistant on the Peace Process (OPAPP) that provides livelihood and financial assistance to rebel returnees. This the lady governor said during the recent Ceremonial Awarding of Financial Assistance to 28 Former Rebels held at Brgy. Cagnocot, Villaba, Leyte. “The provincial government of Leyte has become the conduit party of the Social Integration Program that provides livelihood and financial assistance to our rebel returnees. This program has already been done in other provinces in the country where there are rebel returnees and a growing number of rebels wanting to go back to the mainstream society,” Gov. Bagulaya said. Each former rebel received P10,000.00 worth of pre-surfacing assistance while another P25,000.00 were also given to five of them who surrendered with firearms. “It is one of our top priorities –to continue to help accelerate the integration process of rebels into mainstream society and help them become productive and peace-loving members of our community,” Gov. Bagulaya declared. She believes that the Social Integration Program has proven catalyst to help achieve peace and progress. The Philippine army assigned in the province lauded the provincial government for remaining responsive in as far as the SIP is concerned and is particularly supportive by means of providing financial assistance to former rebels voluntarily surrendering to start a new life. The Social Integration Program (SIP) which encourages rebels to give up their armed struggle. In addition to the immediate assistance and livelihood assistance the program also offers remuneration for surrendered firearms, explosive and ammunition. Meanwhile, Lt. Col. Joel Alejandro Nacnac, commanding officer of the 19th Infantry Battalion based in Brgy. Aguiting, Kananga, Leyte confirmed that the recipients of the provincial assistance were former members of the Front-Committee Leyte (FC-L) which the military battled for several years. The army in the province further stressed that the assistance received by the former rebels is just the start of the new life and brighter future that lies ahead of them and their respective families. QUEZON CITY – With the recent findings and resolution of the Department of Justice (DOJ) to withdraw information against detained poet-artist Ericson Acosta, “it is in incumbent upon the Aquino government to file charges against the members of the 34th IB for violations of RA 7438, rights of persons arrested, detained or under custodial investigation,” said Cristina Palabay, secretary general of Karapatan. Karapatan said Ericson Acosta's case shows the all-too-familiar violations committed by Aquino’s Armed Forces of the Philippines against activists and ordinary folks they encounter in the course of their “counterinsurgency” campaign: warrantless arrest; the right to be informed why he was arrested; denial of the right to counsel and to inform his family; prolonged interrogation and torture; planted evidence; detention in a military camp, among other violations. “Acosta’s experience and plight showcase the situation of the 430 political prisoners in the country who were falsely accused of committing various criminal acts. In December 2012 alone, 28 people were arbitrarily arrested by the AFP based on trumped up criminal charges,” Palabay noted. Karapatan cited the case of Maricon Montajes, a UP student, who was arrested in June 3, 2010 by elements of the 743rd Squadron of the Philippine Air Force (PAF) while photo-documenting the plight of the peasantry at Brgy. Mabayabas, Taysan, Batangas. Montajes was charged with Illegal Possession of Firearms and Ammunitions and Illegal Possession of Explosives. She is currently detained at the Batangas Provincial Jail. On Dec. 7, 2012, lay churchworker Anecita Rojo, 48, was arrested in Bago City, Negros Occidental by members of PNP Regional Intelligence Unit on December 7. She was arrested for murder charges for an alleged NPA ambush in Negros. Rojo remains in detention at Cadiz City-BJMP. In Isabela, Negros Occidental, 19 indigenous peoples, including three minors, were illegally arrested on December 13 by members of the 11th Infantry Battalion of the Phil. Army for allegedly supporting the NPA. Of the 19 arrested, eight are still detained and charged with murder and multiple frustrated murder. They are currently detained at the La Carlota-BJMP jail. “Lies were concocted by the AFP to arrest Ericson and to keep him in jail for almost two years. The 430 political prisoners are on the same boat and should be released immediately. It was done in the case of Acosta, it could be done for the other political prisoners who went through the same harrowing experience as Acosta,” added Palabay. “The Aquino government should stop its malicious and dangerous policy of filing trumped up charges against persons they perceive as rebels,” said Palabay, stressing Karapatan’s call to junk OpBay.